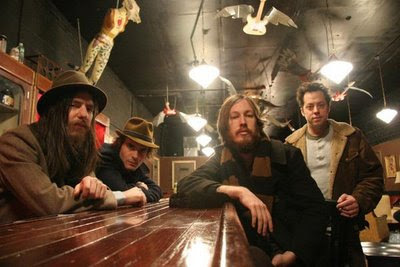 "While it’s true, you could wait until Tight Knit, the spectacular new album from Vetiver finds its way into your local record or appliance store, you should probably take advantage of the fact that Sub Pop are giving away a free 7” single with pre-orders of the album through subpop.com. This is a “while supplies last” type deal, meaning that we will give away these singles until they are gone and then that’s it. Do this today, in other words. Vetiver’s Sub Pop debut will be released on February 17th on CD and LP (LP comes with a free digital download code, btw), either of which will arrive with the “Hey Baby Doll” 7”. And if, as I do, you like to be even further rewarded with free things for making intelligent purchases, you will be enthused to learn that we’ve got Vetiver-related stickers and a button for you as well. PLUS! Every pre-order will get access to a full album stream on our site all the way up until release date. So you don’t have to wait to hear the record! Go ahead, savvy consumer, buy Vetiver’s Tight Knit album from us now." Treat yourself to a matching Vetiver t-shirt here.